San Francisco, April 15: Electric Vehicle (EV) maker Tesla is set to increase the price of its Full Self-Driving option from May 1. "Please note that the price of the Tesla Full Self-Driving option will increase substantially over time," Elon Musk, CEO, Tesla, tweeted late on Saturday. Musk, however, didn't provide a specific figure. While responding to a question on Twitter, he said the increase would be "something like" around the $3,000 plus figure. The full self-driving currently costs $5,000. The announcement of price increase comes as Tesla is introducing its new full self-driving computer that entered production earlier this month. Woman Tries to Fill Petrol in 'Electric' Tesla Car, Funny Video Of Confused Blonde From US Goes Viral. 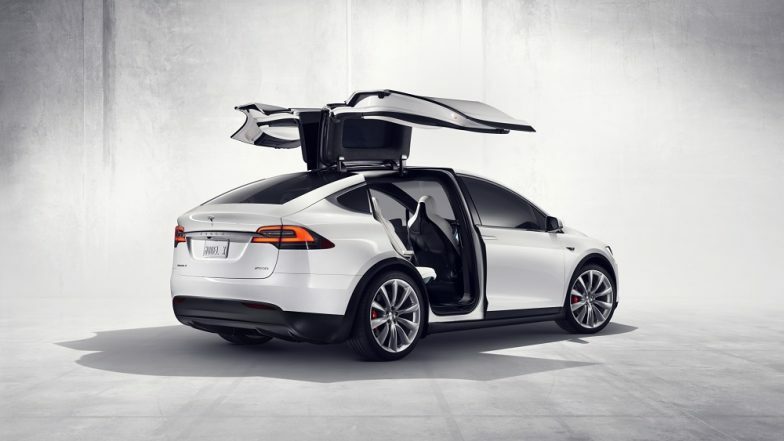 It is also unclear if all new Tesla vehicles are getting the new computer. Tesla refuses to confirm this, but the automaker maintains that it will offer computer retrofits to all owners who have bought the full self-driving option, which Musk says will increase in price next month, according to the Electrek. Somebody Photoshopped Elon Musk’s Face Onto Dwayne Johnson Muscular Body and the Result Is Mind Boggling; Musk’s Reaction Is Epic!